This has been recorded as a Rothley site but as it is all private land and due to the nature of the site no recordings has been made of any natural history. 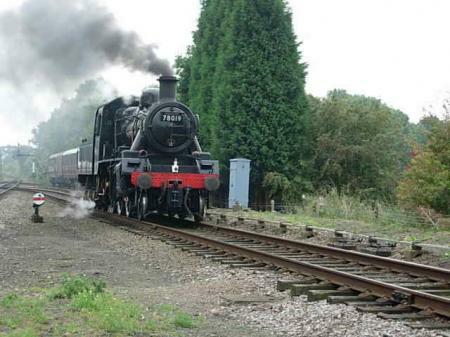 Its historical value has been recorded in books and events and it is good to have a thriving steam railway in our parish. The biggest mystery is the 'theft' of a mosaic from the Roman Villa which was discovered by excavating for the railway. 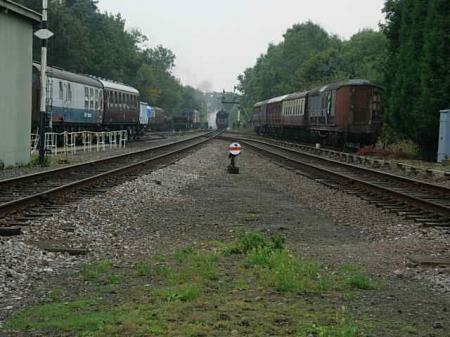 According to reports the prime suspect was Edward Parry the Railway Engineer awarded the contract in September 1894. 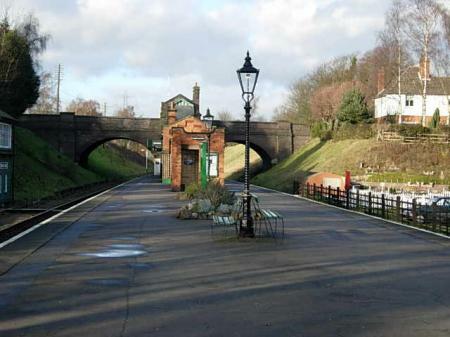 He lived at Woodthorpe Grange, near Nottingham, and very close to the Nottingham Suburban Railway which connected two parts of the GNR system. You need a good transport system to move a mosaic. Perhaps one day this Rothley Roman Mosaic will once again be seen in Rothley? 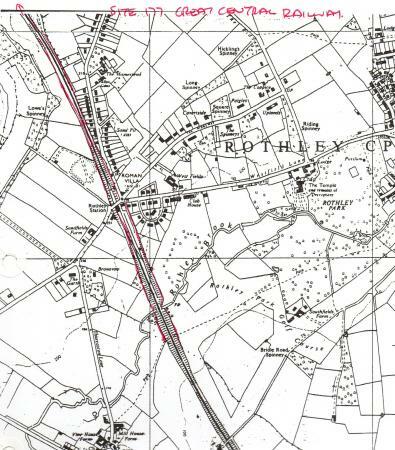 The Rothley Ancient Ecclesiastical Boundary (RAPS) crosses the railway line just beyond the bridge on the opposite side from the station platform. Details attached. 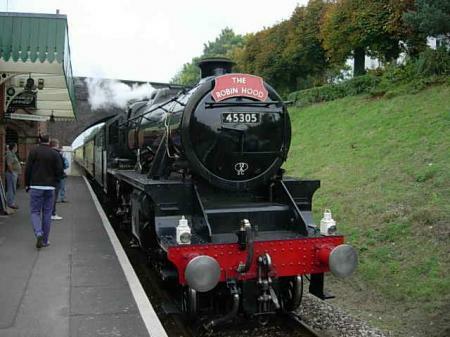 The Great Central Railway is Britain's only double track main line heritage railway. It is open at weekends and Bank Holidays throughout the year and daily in June, July and August and during school holidays. 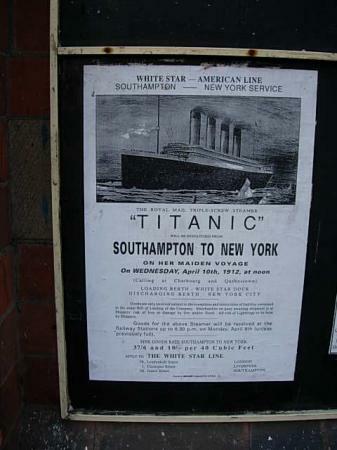 There are four stations along the route and you may board at any of them. 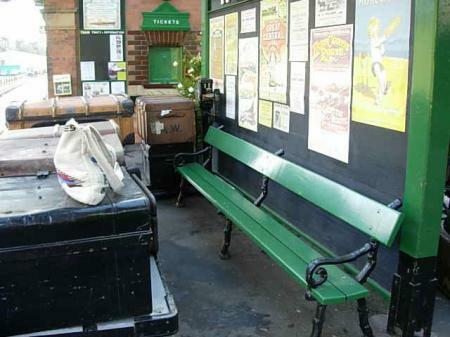 They have all been restored to different periods in the main line's history with Loughborough being the largest station and here is reflected the end of the era in the 1960s. Quorn and Woodhouse played a significant part in the embarkation of troops for the D-Day campaign of the Second World War and reflects the 1940s. 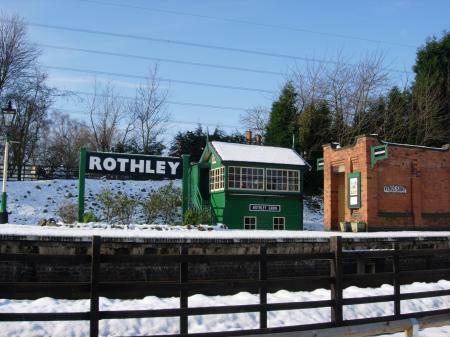 Rothley station is of the oldest period, restored to the gas lit Edwardian era of the turn of the last century. Leicester North has been rebuilt from scratch in the original Great Central sytle. 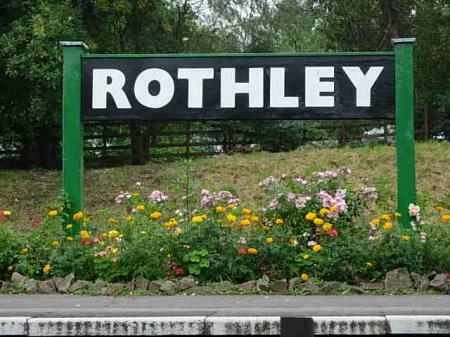 Rothley Station is still lit by gas-light. 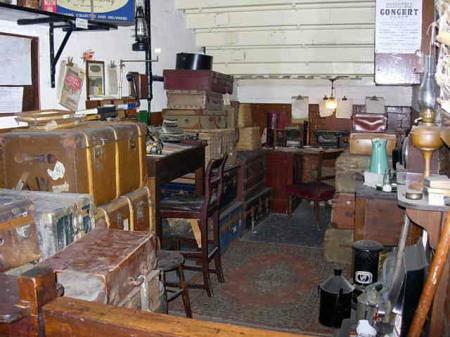 The Observation Coach was used on the Kings Cross-Newcastle line in 1937. 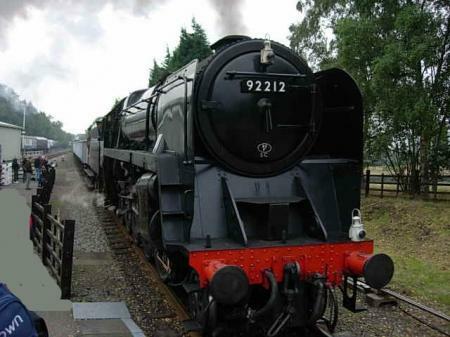 It is being restored and could be in service on the Great Central Railway in 2006. 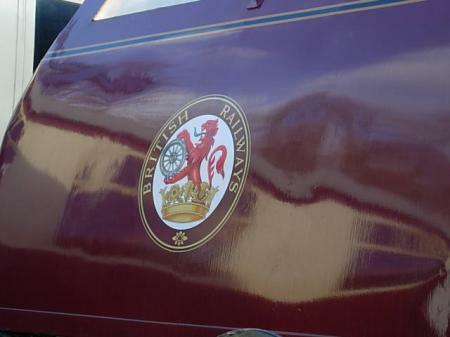 The Coronation emblem is on the back of the coach. 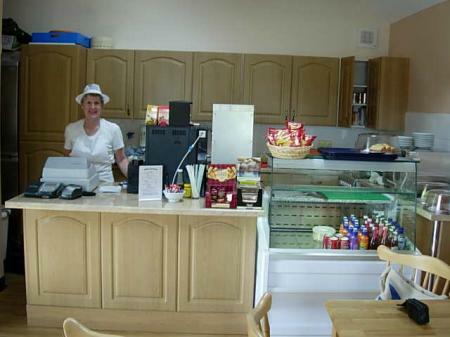 Ellis's Tea Room opened in May 2008 in the converted Joseph Ellis Coal and Corn Store at the end of the car park opposite the the Booking Office and by the Miniature Railway. 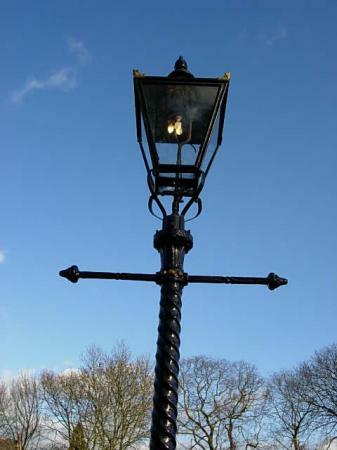 It was built in 1899 when the Great Central Railway was opened. Come and meet Megan and her team of helpers. 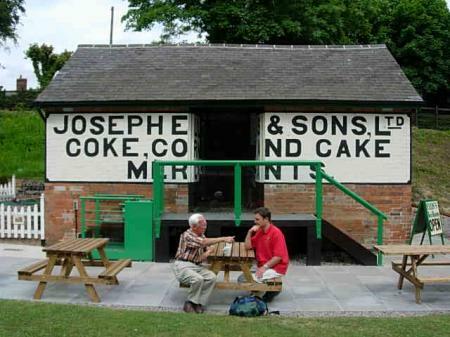 The original Tea Room. 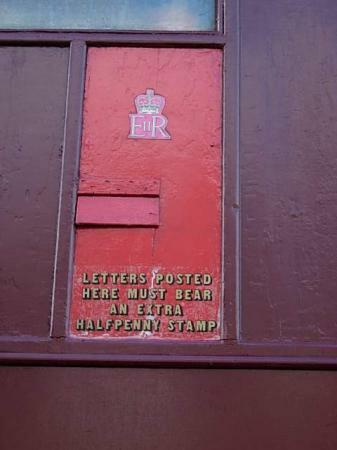 It was extended and re-opened in January 2012. 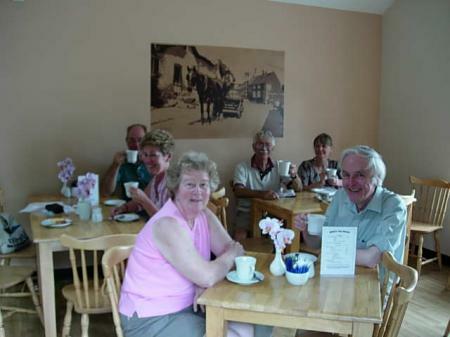 Open 7 days a week 10am-4.00pm so why not come and enjoy tea and hand-made cakes? 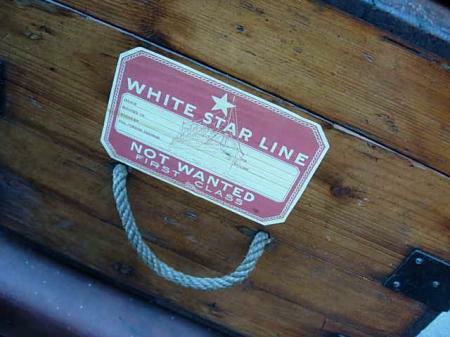 Perhaps followed by a trip on a steam train? 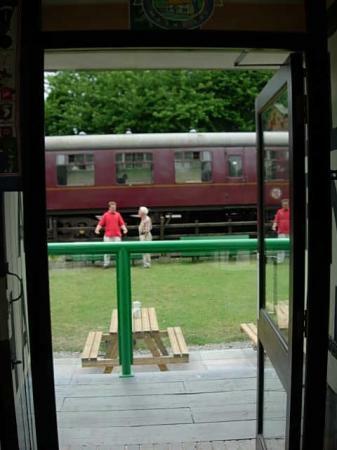 It's a very friendly tea room and there is seating outside. 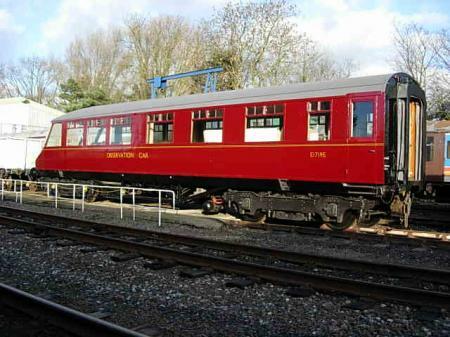 Enjoy the luxury of First Class Dining whilst steaming slowly through the Leicestershire countryside. Traditional luncheons on Saturday and Sunday, dinner on Saturday evenings and additional evenings throughout the year. Drive an express train on the main line, experience the power of a big locomotive for yourself. Treat yourself for a special occasion or give a gift voucher to celebrate a special event. 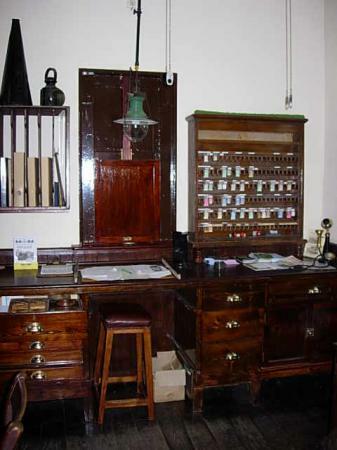 Inside the Station Master's Office. 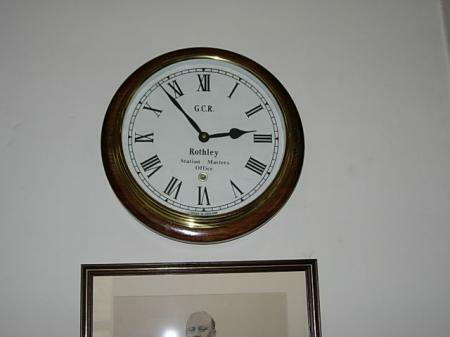 The Station Master's Clock inside his office. 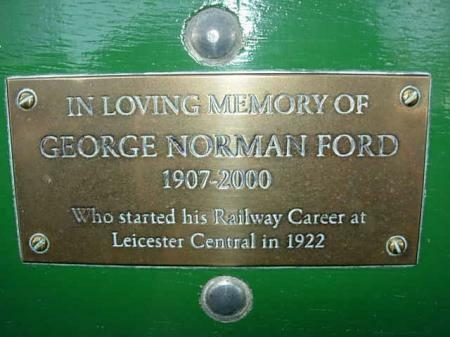 The seat dedicated to George Norman Ford by his family. Observers: Marion Vincent, Brian Verity, Terry Sheppard. The beginning 30 metres of this 120 metre stints starts in the field called The Slang, which is Site 103 in the Site File. This part of the hedgerow is not maintained and is overgrown and gappy. As it contains a good amount of holly this part copes with neglect. There is an Ancient Oak (Tree 225) with a girth of 6.02 metres, which is in line with another Oak tree in The Slang (Tree 12) and 3 Ash trees (Trees 10,11,103) for which I have documentary evidence prior to Tree 103 being cut down and the stump removed. The next 90 metres of this stint cross the railway line, which is in a cutting and then finishes at the corner of the railway bridge. There is no hedgerow in any part of this bit of the stint.